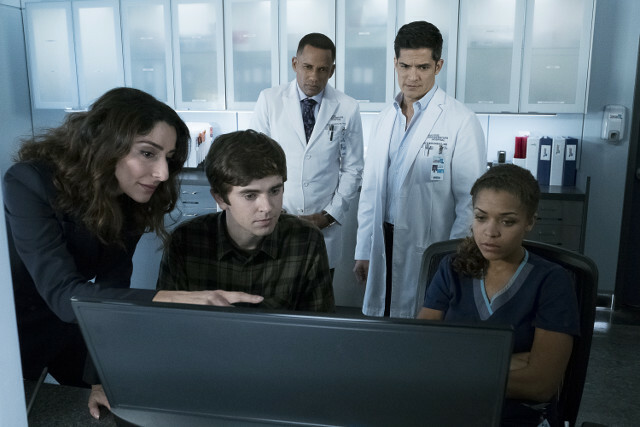 The Good Doctor was one of the biggest new shows of the 2017 to 2018 season and it was a no-brainer when it came to handing the show a season 2 renewal. If you haven’t seen the first season of The Good Doctor and wish to avoid spoilers, we suggest you stop reading now. Keep reading to find out our thoughts on the next season. The first season of the show saw Dr. Shaun Murphy (Freddie Highmore) start his medical residency at San Jose St. Bonaventure Hospital in California. Settling in wasn’t easy though as his autism led him to frequently speak his mind and behave in usual ways. With the support of Dr. Aaron Glassman (Richard Schiff), a long-time friend and the hospital’s neurosurgeon, Murphy worked his way through a series of professional cases and personal crises. In the season finale Murphy was thrown into a spiral when Glassman revealed that he had an inoperable tumour. Murphy went into overdrive to find a solution and discovered that Glassman’s fate wasn’t as grim as it looked with the possibility of treatment to cure him. While Murphy was obsessing over Glassman, he was distracted during surgery and almost killed a patient. The final moments of the episode saw Murphy, along with Glassman, going to speak to Andrews (Hill Harper) to admit his mistake. That admission could well cost Murphy and Glassman their jobs so it sets things up for a very interesting season 2. 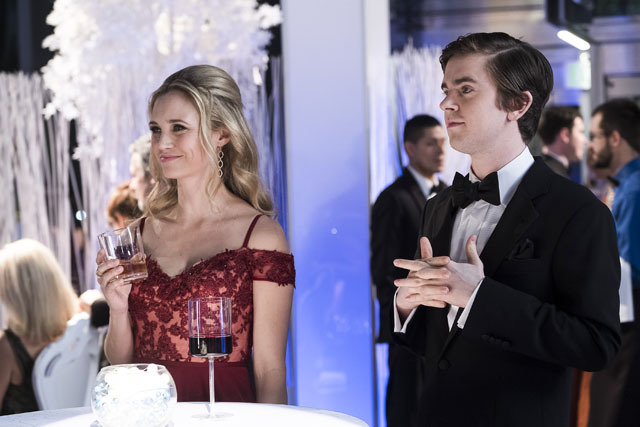 Since the finale aired it’s been announced that Chuku Modu won’t be back as Dr. Jared Kalu so it’s likely his character will accept the residency offer that Dr. Morgan Reznick (Fiona Gubelmann) organised for him. 1. Glassman to be cured. It’s clear that Glassman’s treatment is going to be a lengthy arc for the show’s second season. I doubt very much he’ll get the all-clear within weeks but I’m expecting him to be cancer-free by the end of the season. I’m not sure the show would work without him as his relationship with Murphy is so unique and it’s the heart of the show. 2. Murphy to keep his job. It’s very unlikely he’ll get fired for admitting his mistake but he could well be suspended. In spite of his quirks, which are not his fault, Murphy is a talented and capable doctor who often forces the rest of the team to look outside of convention when it comes to treating their patients. 3. More development for Dr. Claire Browne (Antonia Thomas). After Murphy, Browne is the most interesting character on the show. We’ve had a glimpse at the fractured relationship she has with her mother and her on/off fling with Kalu came to a very definitive end. I see a spark there with Melendez (Nicholas Gonzalez) and there’s plenty of room to further explore the unwanted rivalry she has with Reznick. 4. Reznick to be fleshed out more. It was established quickly that Reznick was ambitious and willing to trample on anyone who gets in her way. By the season’s end we started to see a more human side of her but there’s a lot more I’d like to see. I hope the show properly digs in to her background and that she can learn to be more tolerant of her colleagues. I have a feeling she’s going to cause a lot more trouble first though! 5. Murphy and Lea (Paige Spara) to get back together. We know that Lea is back in season 2, we just don’t know how at the moment. Some of the first season’s best scenes were between Murphy and Lea and I loved how she looked past his autism and truly saw him for who he is. 6. Andrews Vs everyone else. It looks like the show was setting up Andrews to be the ‘big bad’ for season 2 and we know he’s keen to see the back of Murphy and Glassman. Now he has something to hold over them both, I expect Andrews to use his power at the hospital to make their lives difficult and I think that will galvanise the other staff to push back against him. 7. More Dr. Alex Park (Will Yun Lee). He was a late addition to the cast but he made quite the impression, whether it was helping Browne deal with traumatic situations (like a patient blowing his brains out) or bringing a different perspective to cases, Park made a mark quickly. I want more exploration of his character and I’d like to see him building relationships with the other main characters. 8. Gripping cases. One of the things that I thought made The Good Doctor stand out from all the other medical dramas on TV (of which there are many) is that the cases were unusual and engaging. I hope the show keeps the same focus on the medicine and doesn’t start to favour the personal lives of the characters instead. 9. Jessica Preston (Beau Garrett) to get something to do. If there was one character that was under-used during season 1 it was Jessica. The only real storyline she had was with Melendez and their fallout when she told him she didn’t want children. 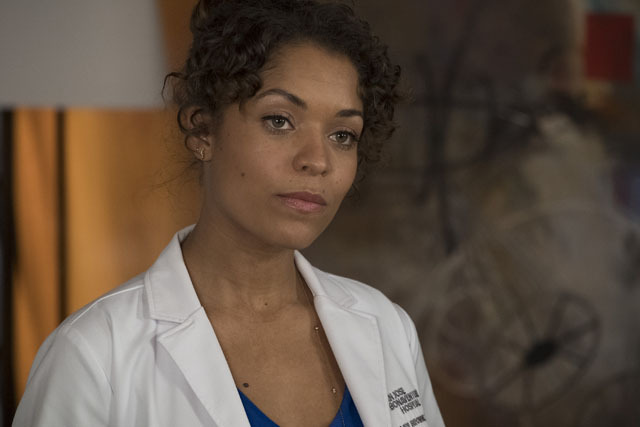 I’d like her to play a bigger role this season and explore the relationships she has with others in the hospital. 10. New blood. It would be great to see some new characters either as series regulars or recurring stars in the new season. There’s plenty of scope to introduce some new faces to the cast and with Kalu gone, there should be a spot of the team that’s vacant. 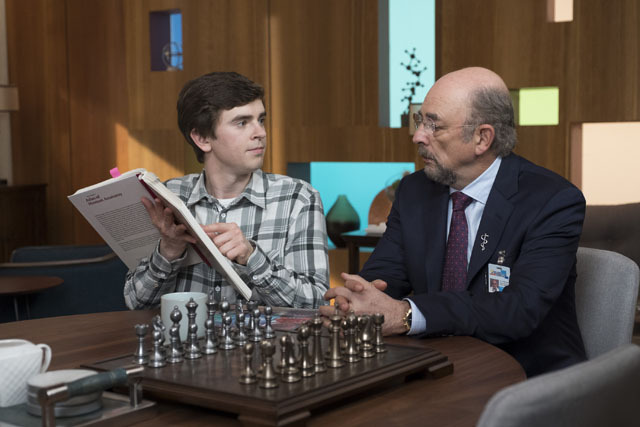 The Good Doctor is due to return in the US on ABC and the UK on Sky Living HD later this year.